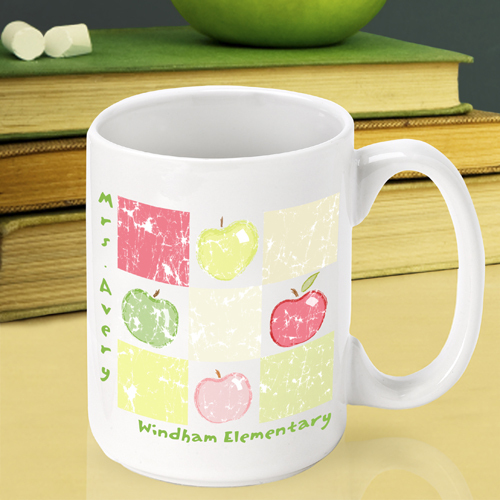 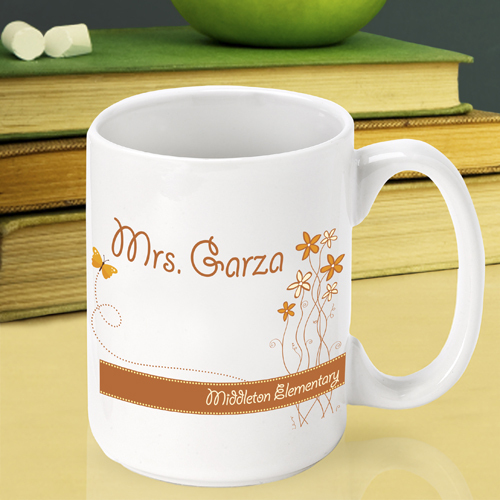 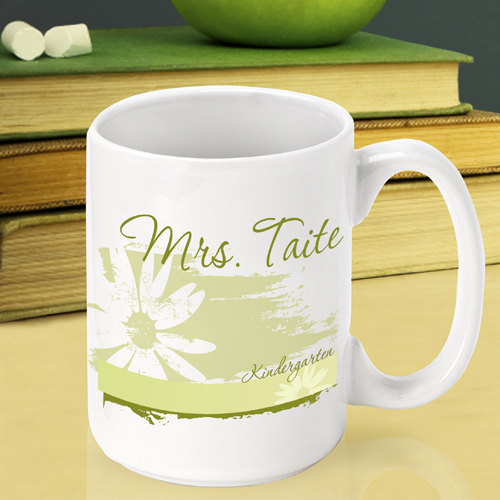 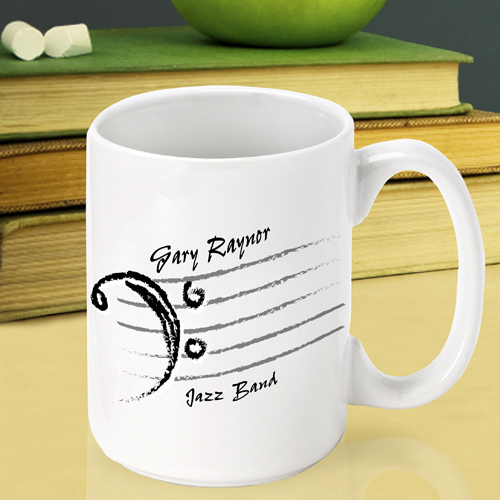 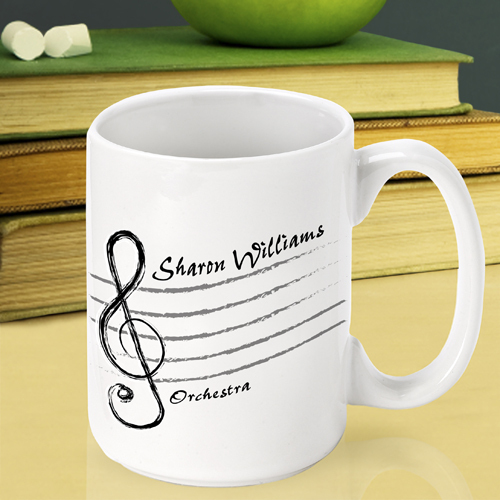 * Ideal for an end-of-the-year gift for teachers, our sturdy white ceramic personalized teacher mugs provide that beloved teacher with a personalized container for their favorite hot drink. 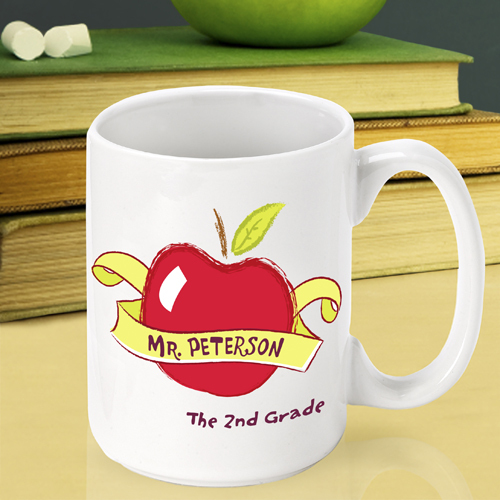 * An attractive addition to any desk or ideal for use in the faculty lounge, these mugs feature a selection of 11 different designs, appropriate for a variety of subjects and grade levels. 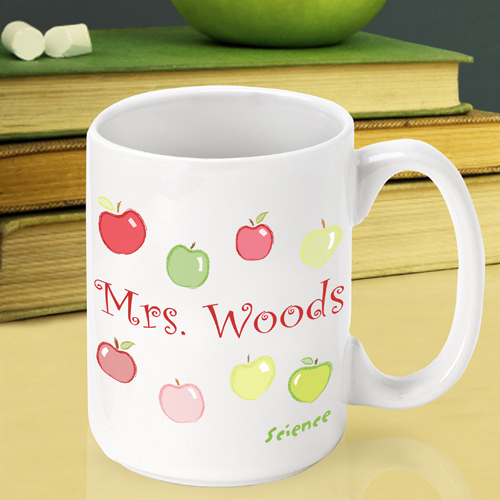 * It's a gift that will warm her/his heart! 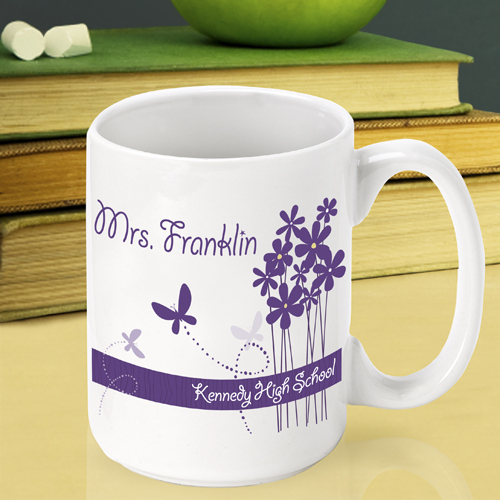 * Personalized with two lines of up to 20 characters per line.